The Institute of Health Policy Management and Research (IHPMR) is the East Africa’s Analytical Partner for the Centre for Health Market Innovations. The Institute will on 13th January 2012 host the launch of Centre for Health Market Innovations (CHMI) in Kampala, Uganda at Hotel Africana, from 10:00am-1:00pm. Child and maternal health and HIV/AIDS. In February 2011, IHPMR had a successful launch of CHMI held at the Fairmont Norfolk hotel in Nairobi while a similar launch was held in Dar-es-Salam, Tanzania on November 24th 2011 at the Moven Pick Hotel. Organizing Delivery: Programs that reduce fragmentation and informality of health care delivery. 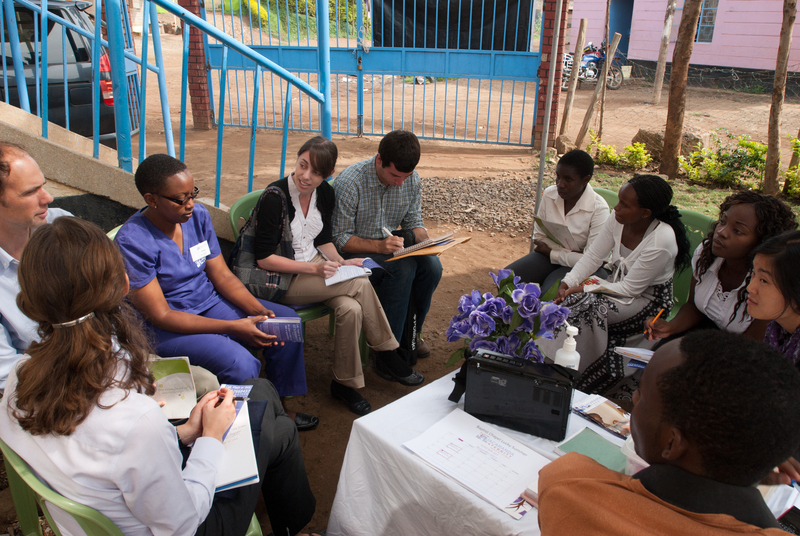 Financing Care: Programs that mobilize funds and give purchasing power to the poor. Regulating Performance: Programs that set standards enforce and promote quality care. Changing Behaviour: Programs that educate and train consumers and providers to seek and deliver better care. Enhancing Processes: Programs that apply new technologies and operational processes to improve quality, access or cost. Health Market Innovations are programs and policies—implemented by governments, non-governmental organizations (NGOs), social entrepreneurs or private companies—that have the potential to improve the way health markets operate. These programs and policies enable the transactions between consumers and private healthcare providers to lead to better health and financial protection, especially for the poorest and most vulnerable. To create awareness about the Centre for Health Market Innovations in Uganda. To promote efforts towards scaling up of health market innovations in Uganda. To provide a forum for stakeholders in the Ugandan healthcare sector to meet, share ideas and experiences and network. 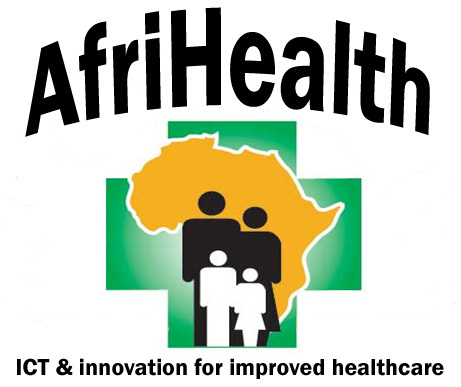 Anadach Consulting Group, in collaboration with the Kenyan Government and Tele-Health Society of Kenya has the pleasure to invite you to participate in the e-Health Africa Conference which will be held in Nairobi, Kenya on the 22nd and 23rd of March 2012. The e-Health Africa Conference 2012: Integrating m-health into e-Health Strategy Implementation is one of the first multi-stakeholder event focusing on e-Health in Africa that will take place on the continent. The conference will identify best practices and lessons-learned from those who are in the process of developing, or have already developed national e-Health strategies. In addition, the conference places a special emphasis on m-health given that Africa has the fastest growing mobile market with over 50% of people using mobile phones. 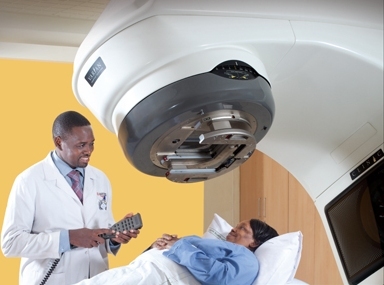 McKinsey estimated that opportunities in the global mobile healthcare market were worth between $50 and $60 billion in 2010 and growing.For more details, please follow this linkhttp://www.anadach.com/e-Health_Africa_Conference_2012. Why: The conference will provide a space where solution providers, development practitioners, international donors and government agencies can come together and learn about successfully deployed solutions and sustainable business models with a focus on agriculture and health. We’ll look at what we have learned to date about deploying ICT4D solutions in the field and consider best practices to measure the impact of ICT4D in programming. Who should attend: Technology solution providers; NGO directors, project managers and field staff; international donors; and local government actors from Central Africa who are interested in the application of ICT4D solutions to enhance the quality and accountability of development programs. There is no charge to register for the conference. Out-of-town participants are to cover their travel, accommodation and visa costs. Hotel registration and visa information will be shared soon. Conference details, including information about the registration process, will be posted on this page as the information becomes available. Would you like to present at the conference? Catholic Relief Services is accepting applications from all interested parties that would like to share experiences on March 27th. The presentations should relate to the theme of the conference. Instructions on how to apply are available separately. If you have any questions, please e-mail Toishia Powell at CRSICT4DConference@global.crs.org. Last year, KEMRI hosted the 1st KEMRI Annual Scientific and Health (KASH) Conference on: Advances in health research towards Kenya Vision 2030. The 2nd KASH Conference will be held from 8th to 10th February, 2012 at KEMRI Headquarters in NAIROBI, KENYA under the theme Towards a healthy, globally competitive nation: Vision 2030 flagships. The conference will focus on the promotion of Critical Knowledge, skills, entrepreneurship for Competitiveness. You are all invited to submit Abstracts. Deadline for submission of Abstracts is 30th November 2011. Details for the preparation and submission of Abstracts are provided below. Conclusion €“ states the conclusions draw from results, including implications. Language and Submission Policy: The abstract should be prepared in grammatically correct English, well structured, and in easy to understand language. First authors are limited to a maximum of two oral presentations. Mode of Presentations: Presentations are welcome in oral and poster formats. Posters should have a uniform size of A0 and legible. Audio-visual equipment (lap top computers and LCD projectors) will be available for oral presentations at the Conference venue. Abstracts Acceptance: The Conference Scientific Committee reserves the right to accept or reject an Abstract. Authors of accepted Abstracts will be required to submit full papers to be peer-reviewed for publication in the African Journal Health Sciences. Exhibitions/Promotions: Companies/Organizations are most welcome to display promotional items at the Exhibition stands provided at a fee of KShs80,000.00 for the three days of the meeting. Conference Registration Fee: Early Registration Fee (before 16th January 2012) KShs1,000, Late Registration (after 16th January 2012) KSH 2,000. This year marked the 4th AITEC AfriHealth Conference held in Kenya that brought together researchers, medical practitioners, Non Governmental Organizations, Pharmaceuticals, HMO’s, Health Informatics Professionals, the academia and ICT personnel to share information on the developments in the use of ICT to improve healthcare in Africa. The focus was on current research, development and implementation of ICT technology and resources in the African Healthcare Arena. The objective was to share knowledge and experience from practical mobilization of ICT-based healthcare systems and projects, to showcase best practices through practical case studies and highlight potential for scaling up success stories at national and regional levels. 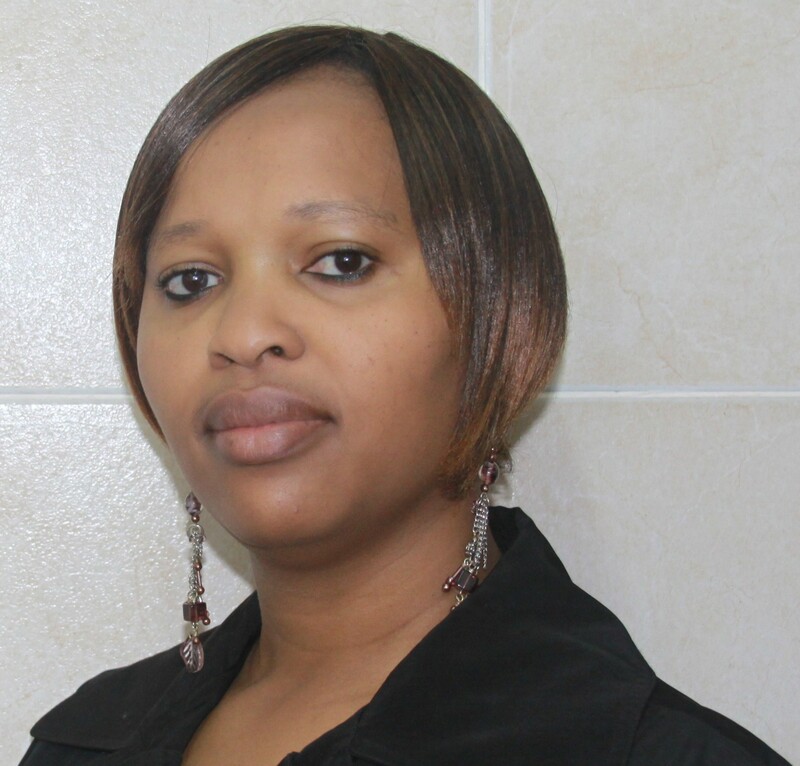 Information and communication technology (ICT) has the potential to impact upon many aspects of the health sector. The ability of communities to access health services is influenced by information and communication processes. Through e-health, m-health, and Tele-health, information and access to health services can be achieved effectively. ICT can be used to engage people in the issues, help them find acceptable and appropriate solutions to health problems and encourage individuals and communities to play a vital role in protecting their own health. Even though there are many ICT innovations in healthcare, the impacts of its success are not felt as expected. This could be attributed to the fact that the end user – who is the healthcare provider, cannot relate to the innovation or is unable to implement it properly. 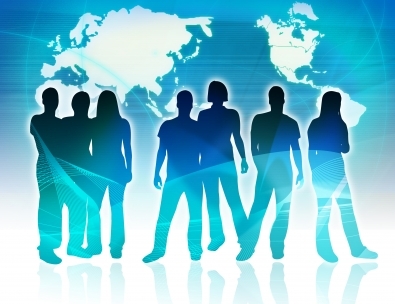 There is a disconnection between the ICT professionals and Healthcare Providers and unless these two parties come together and with a common mission of merging ICT technology and clinical processes, then great innovations will continuously be made but without successful and effective results. Sustainability and affordability have however remained major threats to innovations. This will remain a challenge unless a solution is found for access to healthcare become a norm rather than a luxury especially in the marginalized areas in Africa. I hope to see a success story that is not only innovative and helps in achieving the healthcare objectives of a community, but also one that empowers the locals of a community in terms of education, innovation and financial freedom so that they can continue sustaining themselves once the funding is over ; thus the innovation becomes part of their everyday life. 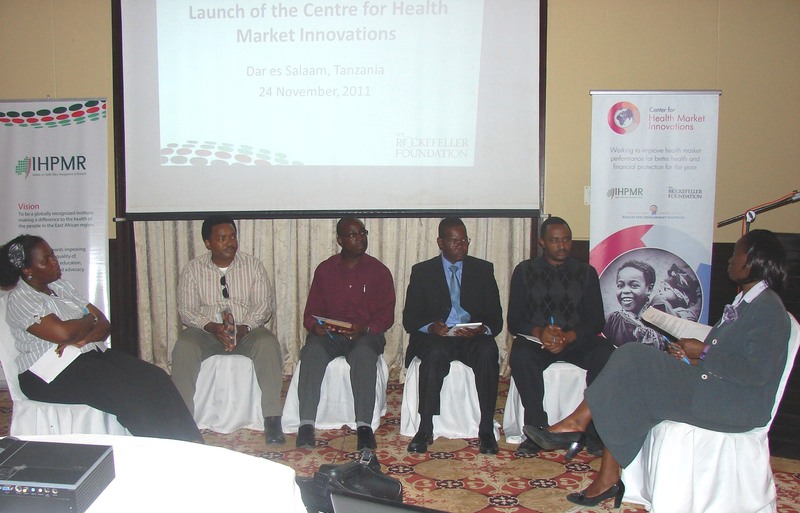 November 24th 2011, marked the launch of the Centre for Health Market Innovations (CHMI) in Tanzania. The event, organized and coordinated by the Institute of Health Policy Management and Research (IHPMR); CHMI’s East Africa analytical partner, was held at the Moven Pick hotel, Dar-es-Salaam. The launch brought together stakeholders from the health market in Tanzania including policy makers, implementers, funders and academic research institutions. There was also a great media presence at the event. It was an interactive session which included poster presentations of the health programs in Tanzania documented on the CHMI database. The Accredited Drug Dispensing Outlet (ADDO), made a special display of the program highlighting the factors that enabled it to move from its pilot stage to a government sponsored program. The programme incorporated the presentation of CHMI’s database to all participants at the launch that created an awareness of the existing health market innovations in Tanzania. A panel discussion comprising of a policy maker, two implementers and academic researchers engaged the audience through a question and answer session. In a speech read by, Mr. Winna Shango, the Chief Pharmacist in government, Mrs. Blandina Nyoni, Permanent Secretary (Ministry of Health and Social Affairs,) termed the event as a breakthrough in the Tanzanian market. 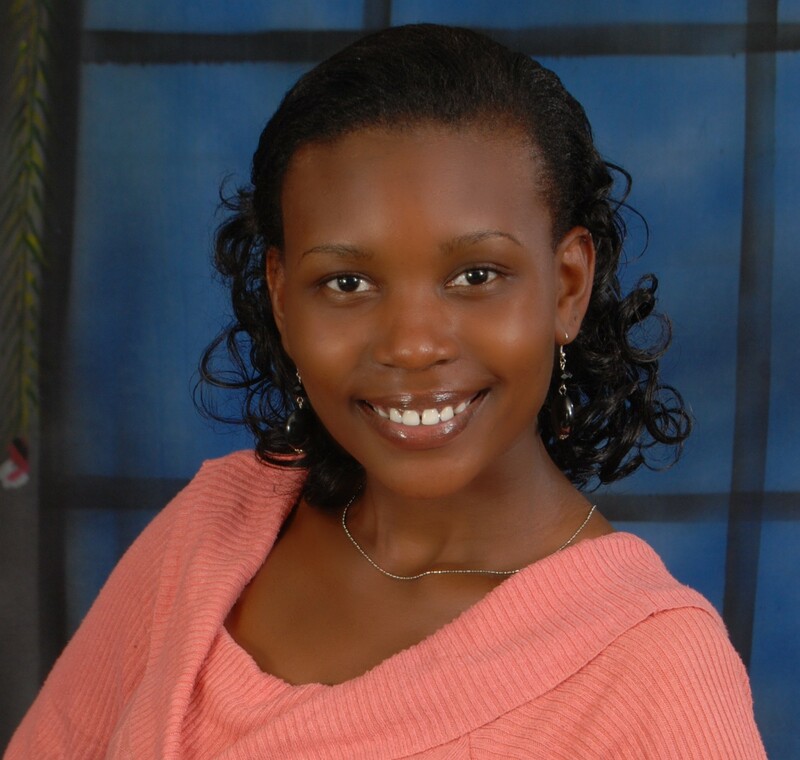 She identified CHMI as a platform for implementers to share ideas, learn, and gain the required publicity for their health innovations. In line with the main theme of the launch “Working to improve health market performance for better health and financial protection for the poor,” Shango was optimistic that the website will be able to shine the spotlight on innovations in the market and thus increase the number of interventions in the Tanzanian market place. He confirmed the commitment of the Tanzanian government to provide quality, affordable and accessible health services to its 44 million citizens. However, poor health infrastructure, limited access to quality health services, shortage of skilled health providers and health financing were cited as the major constrains to this development. “The launch means a lot. CHMI will connect people; it will connect organizations and will connect countries,” commented Jafary Liana from Management Sciences for Health (MSH). 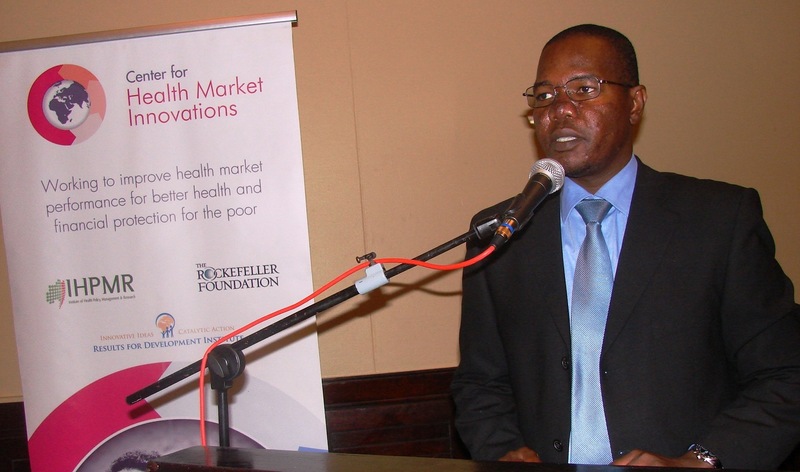 The launch of Centre for Health Market Innovations signifies a new beginning for health innovation programs in Tanzania; as IHPMR will continue profiling programs and creating forums in the country for all stakeholders to share information. Health system strengthening is the cornerstone for achieving the health-related Millennium Development Goals and the wider objective of universal coverage of quality, assessable, affordable health care. The Human Resources for Health (HRH) is a key component of the health system and the bedrock of service delivery. It is necessary to place the HRH crisis as a national agenda, and integrate HRH into the national health development strategy and plan took centre-stage. In order to achieve these recommendations and resolutions, the HRH Interagency Coordinating Committee (HRH ICC) has prioritized the holding of the Inaugural National HRH Conference to take place in December 7–9, 2011. The Permanent Secretary,Ministry of Medical Services,in consultation with the Permanent Secretary,Ministry of Public Health and Sanitation, chairs the National Organizing Committee (NOC). Registration: To register for the conference, please complete the Online Registration Form. Registration fees do not apply. November 8th marked one of the memorable events on IHPMR’s calendar 2011; as two officials from the Results for Development (CHMI) from Washington took a trip to Kenya to visit the IHPMR team. Maria Belenky, a Senior Programme Associate and Trevor Lewis, a Programme Associate from the Centre for Health Market Innovations were visiting from Washington DC. Carolyn Bancroft from the Rockefeller Foundation also accompanied the two to take part in visiting various health program models in the field. Amongst those visited included the Jacaranda Maternity Health Program in Nairobi’s Babadogo area, the Changamka Health Initiative in Ngara and the M-Afya Kiosks in Rankau area some kilometers past Kiserian. The three later had an opportunity to meet the entire IHPMR staff in Kenya and shared ideas and information regarding the activities of both the organizations.